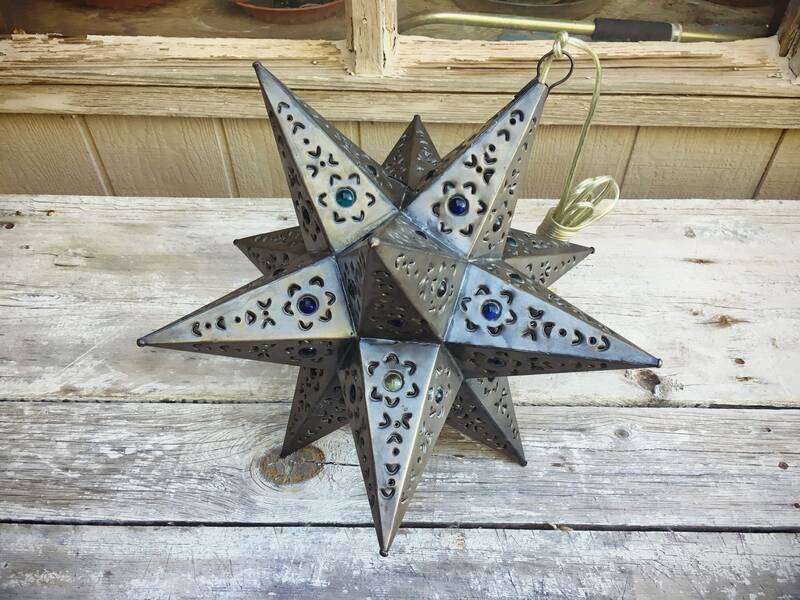 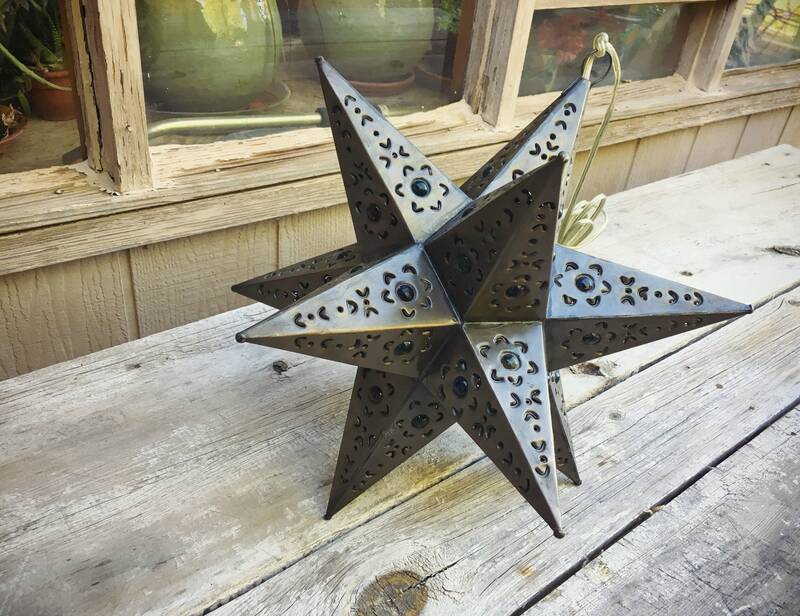 This pierced metal Moravian star is boholicious with its three dimensional design and the multi-colored glass marbles placed here and there to add color when the light is turned on. 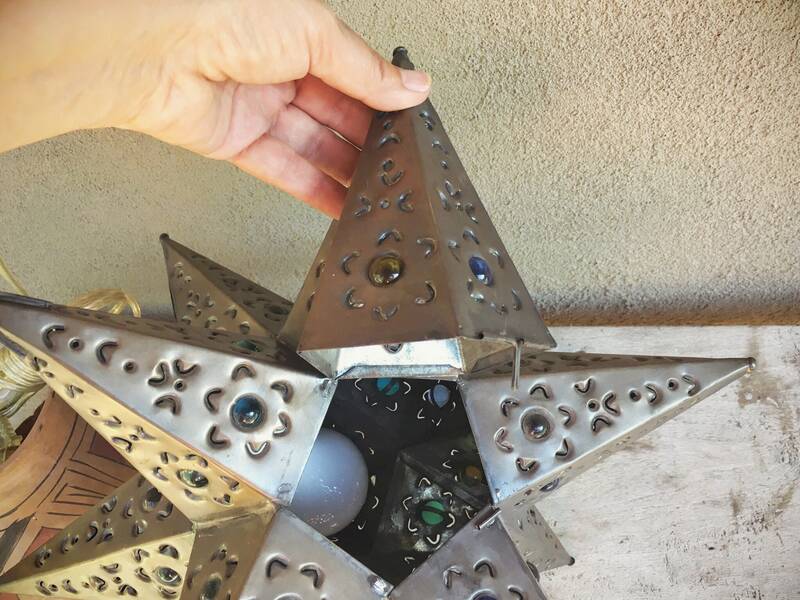 Includes a light for light bulb that's been threaded through the top. 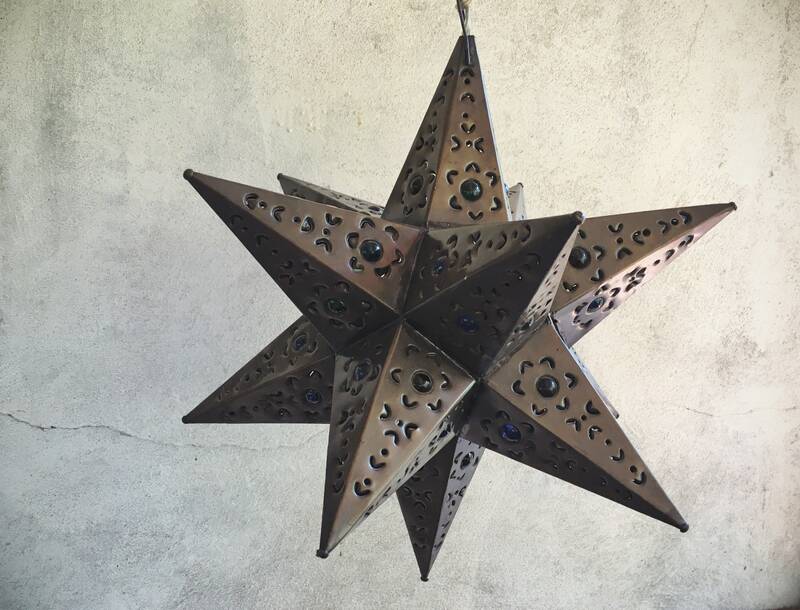 One of the star's rays opens with a little hinge, allowing you to replace the bulb. 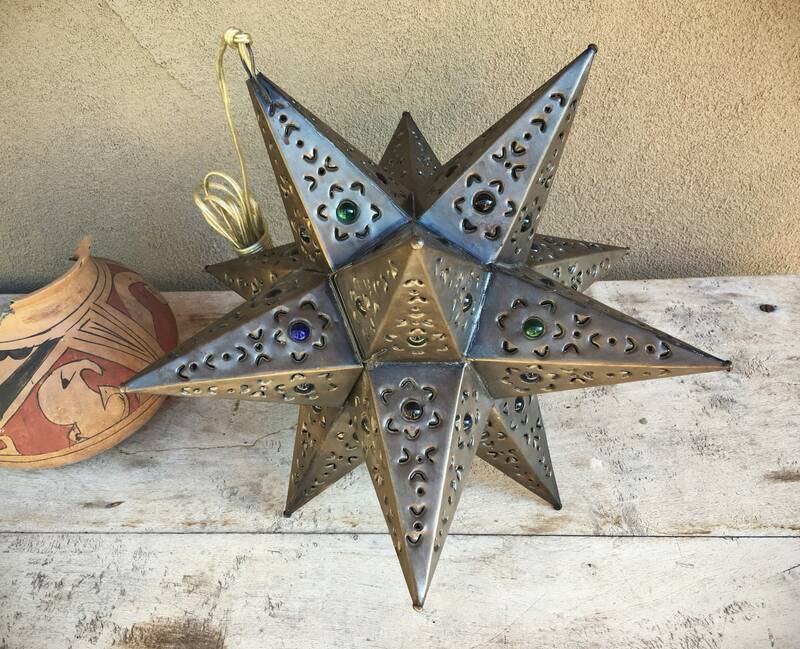 I recommend a low wattage warm white or even amber colored bulb for a subtle and romantic look, almost like the Moroccan tea houses of the Albaicin in Spain. 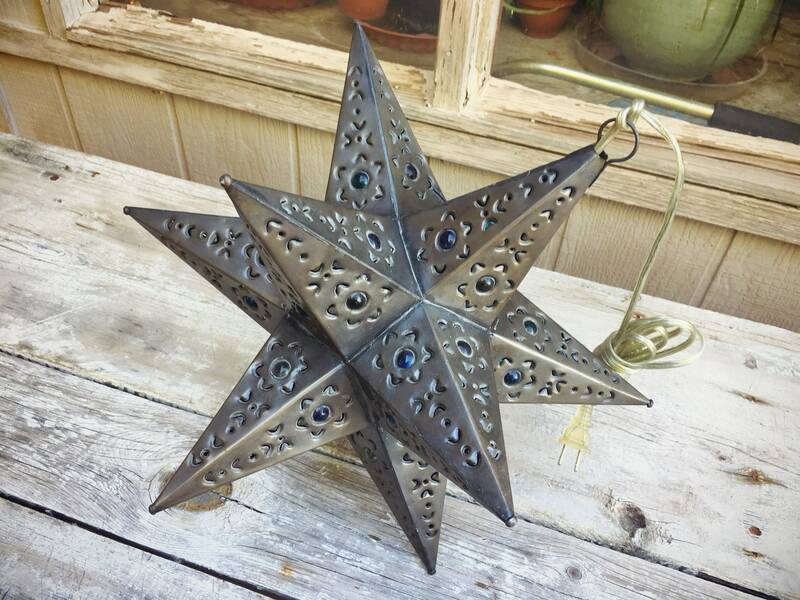 Measures about 13-3/4" from point to point across and hangs closer to 17-1/2" long from the hook to the bottom point. 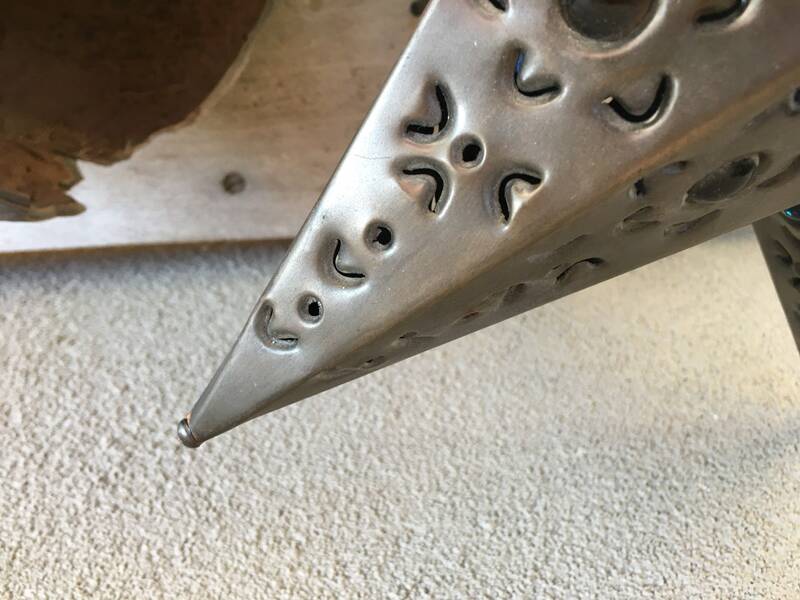 This hung in a New Mexico home in a small alcove for many years and there is definitely wear, yet since it was inside it does not have too much rust.